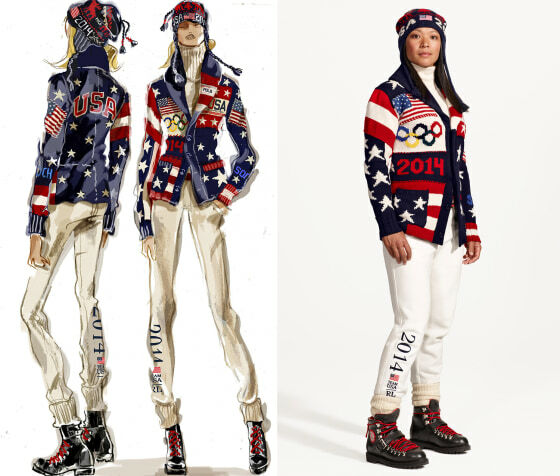 I'm really liking these US Olympic Opening Ceremony outfits. I might be one of the few. They are going to sell like hot cakes? Well maybe not the sweater. 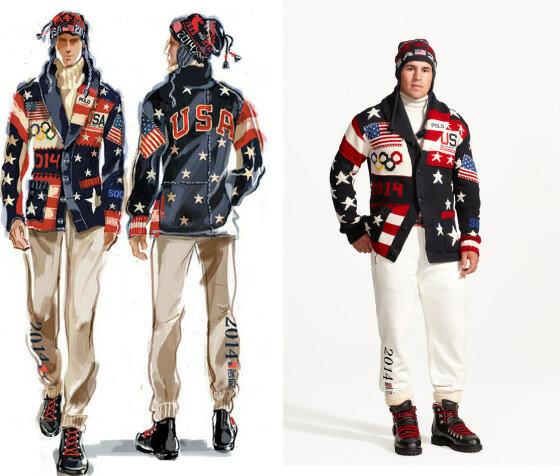 This time Ralph Lauren manufactured everything locally after last Olympics snafu.